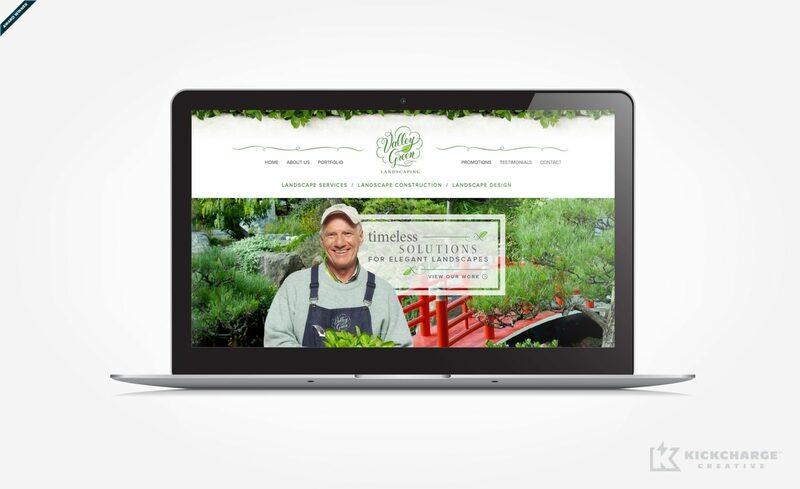 Valley Green Landscaping is a family-owned, full-service landscaping and lawncare company serving the Westford, Massachusetts, area. For more than 35 years, they have been providing their customers with a wide range of services including maintenance, irrigation and landscaping. Despite their success, their brand and marketing had been neglected. Their logo and website didn’t cut through the clutter in a crowded marketplace, and failed to inspire their core audience to action. Upon partnering with KickCharge® Creative, we undertook a deep-dive research initiative to immerse ourselves in their business, market and audience. Through our research, we uncovered a key insight: the main decision makers in this space are female. That breakthrough shaped our strategy and subsequent creative executions. Beginning with a logo redesign, we chose a more fluid, flowing approach to their typeface, with a clean and simple color palate. Each design decision was driven by our research, designed to connect with our core audience of affluent female decision-makers who respond best to an elegance and sophisticated design. The feedback was instantaneous. 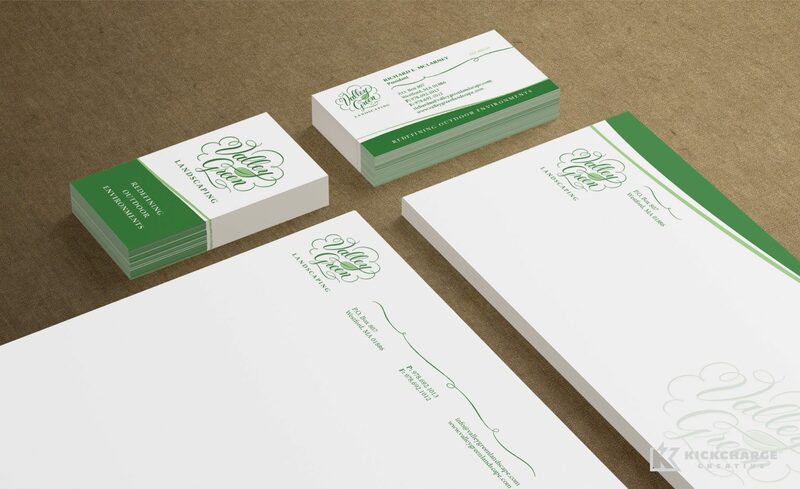 The Valley Green team were thrilled with their new look and brand image. They were so excited that they wanted to carry the new look through to their digital presence. So KickCharge Creative undertook a complete redesign of their website, including reorganizing and rewriting all copy to better resonate with an upscale female audience of decision makers. The results were wildly successful, making their brand stand out in a crowded and competitive market. It’s a prime example of how KickCharge Creative’s strategy and research capabilities can uncover insights that drive world-class creative executions.